Wake up, hit snooze, actually wake up, brush teeth, splash cold water on face, make coffee. Chances are, everyone has some variation of a morning routine they go through on autopilot. Research shows that 45% of everything we do on a daily basis is out of habit. Maybe you’re craving pizza and you immediately dial your favorite pizza place with your “usual” order on deck. Maybe you’re walking to work and mobile order your morning coffee as soon as you reach a specific intersection. Whatever the habit is, it had to start somewhere. Habits are formed when your memory associates specific actions with specific places or moods. This could be as inherent as pouring a glass of water before bed every night, to always choosing the same brand of toothpaste. Some habits aren’t as intuitive as others and require consistent association with one another in order to take hold. Consider peanut butter and jelly. These two items wouldn’t be a natural pairing if the peanut butter and jelly companies didn’t consistently tell us they were, creating automatic neural connections between the items (and if it didn’t taste delicious). What does this matter for brands and retailers? Well, it should mean everything. Creating and maintaining new habits are the lifeline of your bottom line. Wouldn’t the ideal world be having your current and future customers choose your brand, every time, without question? Historically, the way to get a customer to engage in a desired behavior was to pummel them with as many in-your-face advertisements as possible. Relying on the mere exposure effect, which theorizes that people develop a preference for things merely because they see them more often, marketers needed their efforts to be the biggest and brightest. That was the world of marketing for decades: a one-way conversation from brands to consumers. The rise of the internet and big data created a massive shift for marketers, with consumers becoming more resistant to the marketing techniques of the past. Also, as technology became more advanced and more cost efficient, more brands and retailers were able to join the conversation. With a hyper saturated marketplace and consumers who are selective about the marketing messages they engage with, the mere exposure effect is no longer the best way to drive behavior change. Today, it’s a great customer experience that keeps brands top of mind and customers consistently engaging. We are inherently creatures of habit and will continue to do (and buy) things that we’re comfortable with. In today’s world of endless options, in order to form habits, brands must continue to address customer pain points consistently and at the right times. The habit formation process can seem pretty simple when, for example, you’re trying to get your toddler in the habit of brushing their teeth everyday. Maybe you’re able to get them to brush their teeth as soon as they wake up by promising an extra (sugarfree) treat after they’ve done so. When it comes to a customer’s relationship with a brand or product, the path to behavior change becomes much more nebulous. Customer preferences are always changing so your habit formation strategy should always be adapting. Collecting actionable customer data is an imperative part of establishing new, and maintaining old, habits. Most marketers have an abundance of data, but lack the technology resources to activate that data. Opting for nimble, flexible activation technology enables you to not only have the data to create habits by addressing today’s pain points, but it also allows you to track how those habits change and evolve so you’re prepared to address them in real-time. Retailers and brands must be ready for an ever changing cycle of life. Maybe a customer visiting a convenience store used to stop by two or three times a week and typically purchased beer, chips, and/or soda. However, they’re now purchasing baby wipes at 10pm on random weeknights and their beer purchases have all but disappeared. Accounting for this change in behavior is imperative to keeping this customer returning to your business. Now, instead of focusing on increasing the quantity and frequency of their beer purchases, you want to develop the habit of purchasing baby care items and healthier snack options for this new parent. Habits today aren’t static. Blasting customers with marketing messages doesn’t help create lasting, profitable habits. Addressing customer pain points and needs both today, and as they evolve, is the key in habit formation. 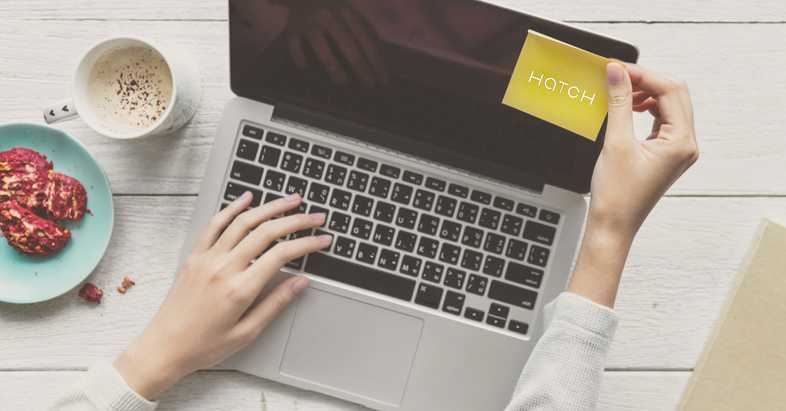 Learn more about how Hatch can help you on your journey to create and maintain customer Habits.